Apple says it didn't exactly block Google Voice from its popular app store. Apple Inc. told federal regulators Friday that it blocked the Google Voice program from running on the iPhone because it alters important functions on the device — yet Apple denied that it has rejected Google's application outright. "Contrary to published reports, Apple has not rejected the Google Voice application, and continues to study it," Apple said in a letter to the Federal Communications Commission. The FCC is looking into Apple's block on the Google Voice app as part of a bigger examination of the consumer implications of practices in the wireless industry. It sent questions to Apple, Google and AT&T Inc., the only wireless carrier to offer the iPhone in the U.S.
Google Voice gives people a phone number that's not tied to any one phone line. People can program the service to direct incoming calls first to a cell phone, then a work number and finally a home number, for example. Users can set up voicemail and have Google Voice e-mail transcripts of their messages. It can also be used to send text messages and place calls — even international ones — at low rates paid to Google, not the carriers. 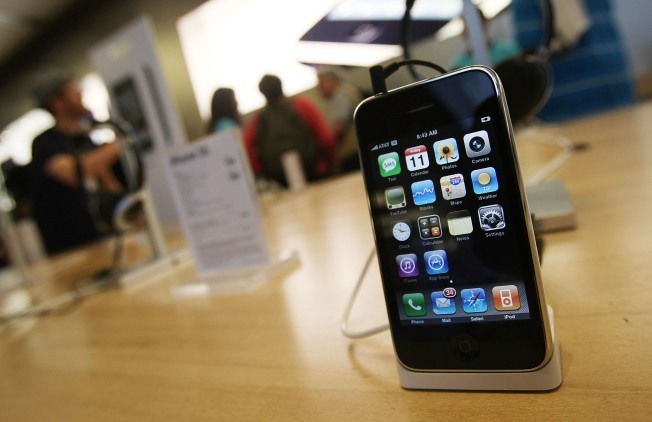 That led to widespread speculation that Apple and AT&T saw a Google Voice app for the iPhone as a potential competitor that would keep users from eating up minutes on their cell phone plan. Apple said it rejected the program because it changed the iPhone's own interface for making calls and sending text messages. Apple said it also was concerned that the app would send the contents of people's iPhone contact lists to Google's servers. "We have yet to obtain any assurances from Google that this data will only be used in appropriate ways," Apple said. "These factors present several new issues and questions to us that we are still pondering at this time." In its response, AT&T told federal regulators Friday that it's not privy to Apple's iPhone application vetting process and played no part in blocking Google Voice. AT&T said the two companies have discussed a handful of programs but not Google's. Google told the FCC that iPhone owners can use a Web browser version of Google Voice, but its features are limited. Google's response was redacted to cloak Apple's explanation for the rejection, and Google had no immediate comment on Apple's claim that it is still considering the program.